Some unit paving projects that are anticipating high pedestrian or vehicular traffic will use a bituminous setting bed application for structural support. The design starts out with a poured concrete sub-slab that is reinforced with rebar. Sometimes a heating system is incorporated into the concrete slab to assist with snow melt. The concrete slab is topped with an asphalt tack coat and 1″ of bituminous asphalt that is compacted down to 3/4″ thickness. 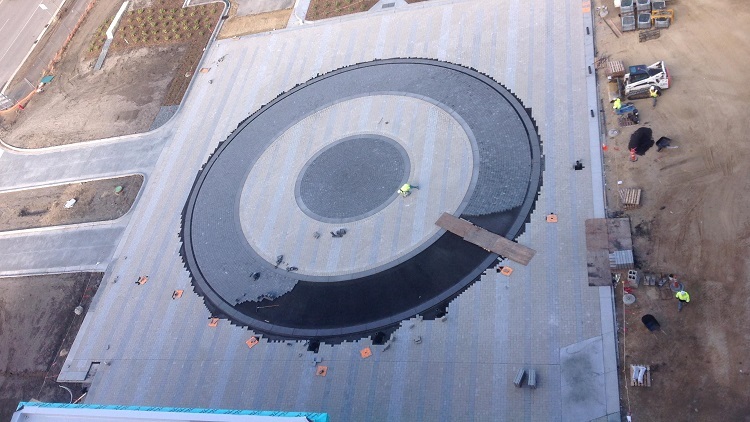 Last, a thin layer of neoprene adhesive is laid on top of the bituminous before the pavers are set down. Once the designated paver pattern is installed, the joints are typically filled with polymeric sand. 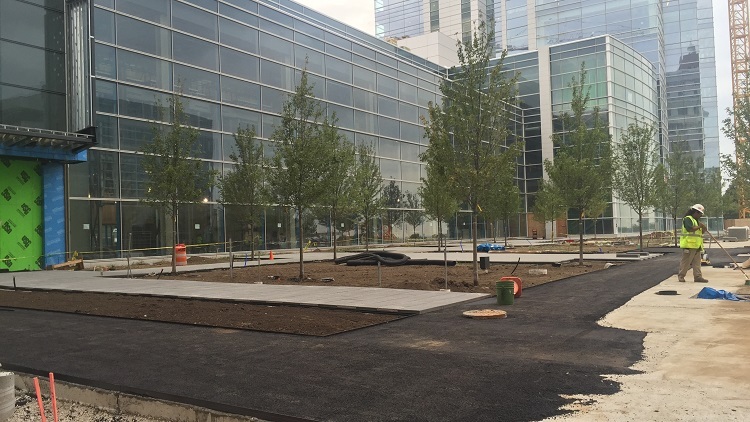 Structures has installed this application for many pedestrian walkways out front of Fortune 500 headquarters and in crosswalks and roadways of urban properties across the country.